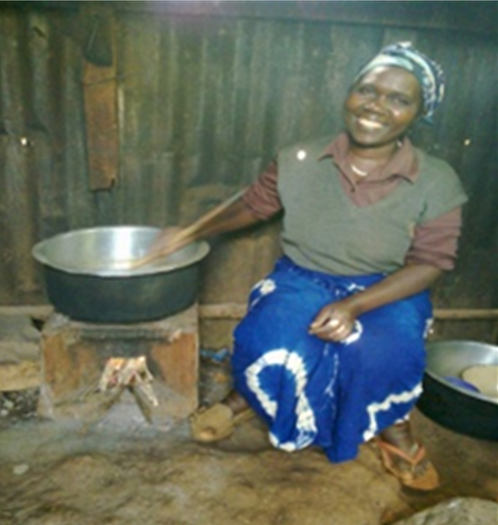 Hannah Njeri Njuguna 75years old widow and a mother to 10 children is one of the beneficiaries of a Carbon Zero efficient stove. She lives in Kirenga village in Lari district Aberdares project region. Considering Hannah’s age she is not strong enough to go to the forest so, she wholly relies on buying wood from wood vendors in Kambaa a few kilometers from her home – though this is expensive for her considering she is doesn’t have a reliable source of income. She says having used a traditional three stone stove previously was pathetic as she used a firewood load of ksh400 which lasted 3days. She says that this was too expensive for her. Currently she narrates that since receiving Carbon Zero stove the firewood load of the same price now lasts for a week. To her this is tremendous change that she even wishes to have received the Carbon Zero stove earlier in her life. She says that it may be difficult for any other person to believe how expensive firewood could be but for her she has experienced it and she can never look back. She says at times she even used to skip meals because of lack of firewood to cook something she cannot do as of now. The most well-known causes of death in developing countries today include dangers such as unclean drinking water, malnutrition and HIV infection. Cooking, on the other hand, probably would not make the list of recognized killers. However, for the more than 3 billion people who stand over fires to cook every day, preparing food poses just such a life-threatening risk. Hannah says that previously while using three stone fires she experienced persistent eye irritation due to excessive produced, coughing, tingling and numbness thus forcing her to visit the hospital most of the times. 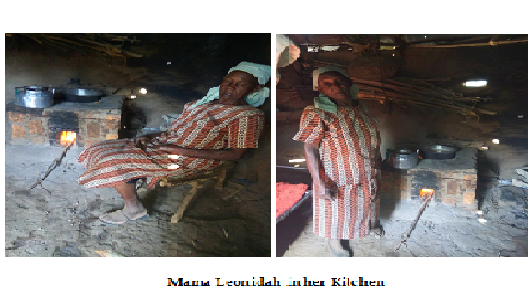 She added that chest problems as a result threatened her health but since got the energy efficient stove her health has stabilized. She further says that using a CZK stove has also created her some time to supervise casuals on her farm hence able to enhance her farming activities. Armed with newer, more efficient stoves Carbon Zero Kenya continues its work in the community to touch lives and impact society. 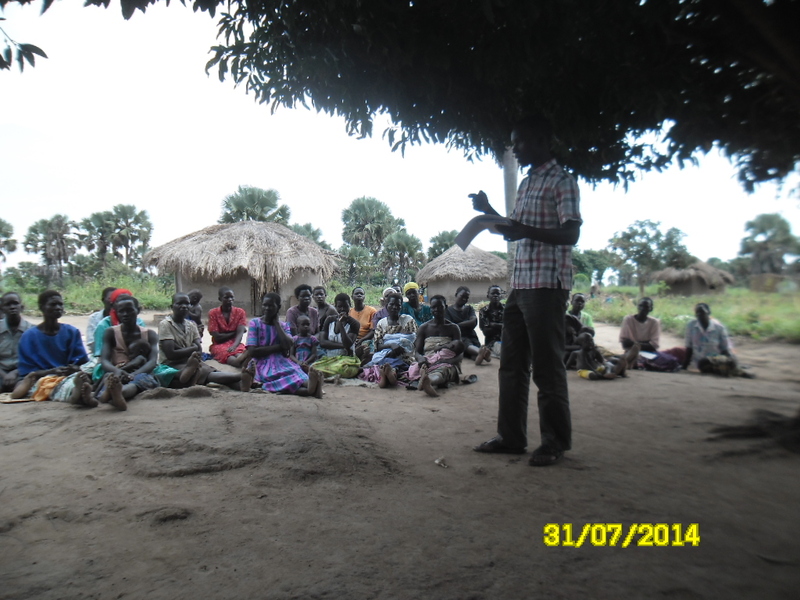 Over the past two years, co2balance has worked with partners in Uganda to develop safe water based carbon projects. We have learnt several lessons and grown to our 5 fully operational projects with two projects in the pipeline. For further information on how to partner us visit the company website http://www.co2balance.com. The biggest partnership we realized we had to develop was that with the communities. 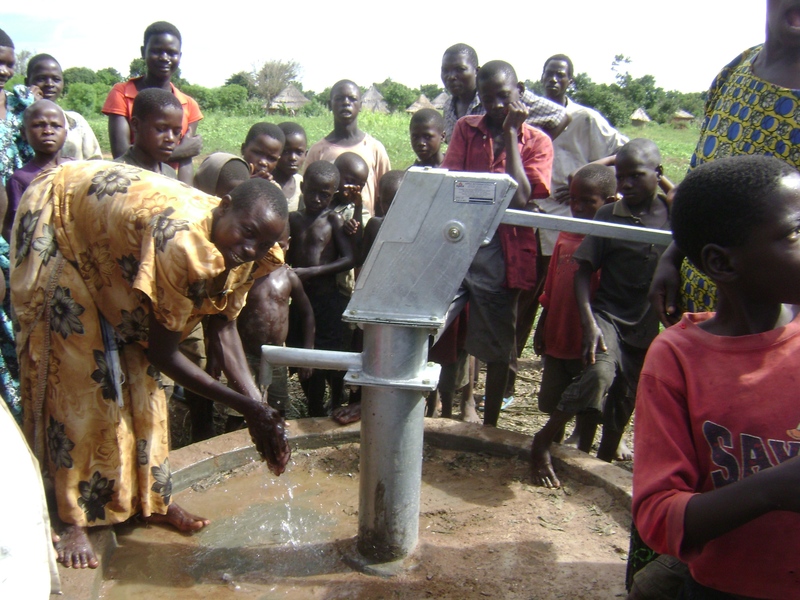 To have a functional water project it is necessary that aspects of community health and sanotation are included within. 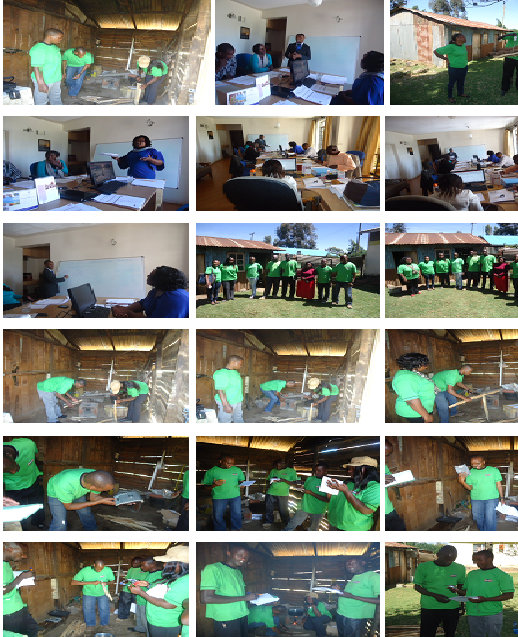 Communities have a structure through which such activities are developed. The policy in Uganda is actually that such structures must exist for every single borehole community. We have found that this loose management structure and its voluntary nature of operation comes with some shortfalls but we have found that community input is of utmost necessity if any long term sustainability is to be achieved. Through our partners we have been able to train these communities and impart the responsibility of management upon them. In the coming weeks we indeed have activities like this planned in otuke District. Otuke has shown some good examples of well managed boreholes so we are looking forward to see more active community participation after the training in sanitation is carried out. A well fenced borehole at Goi B in Otuke. 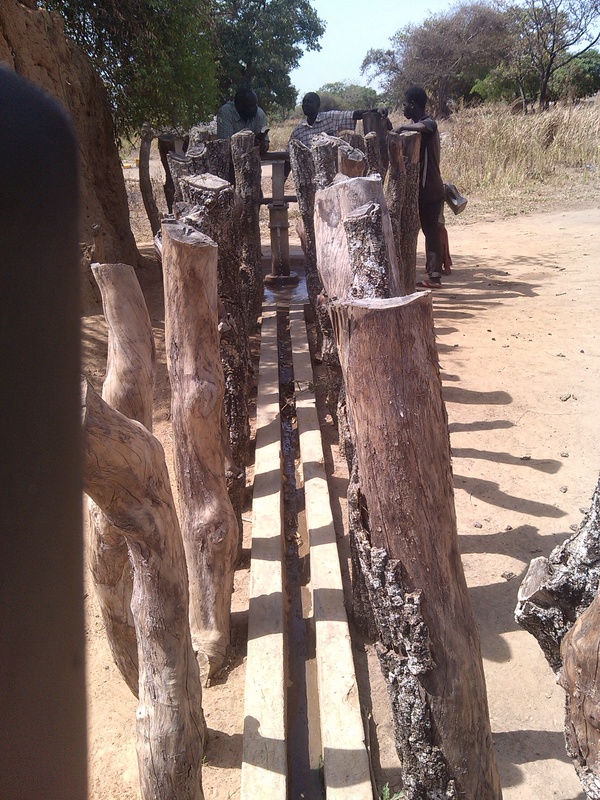 This shows the best level of local protective fencing for boreholes. We expect to improve our community engagement within the next xouple of months but we are no doubt doing something right to see a response like the above from a community. We aim to continue with this positive approach when we expand with our second project in Kaliro. We are always interested in partnering with like minded individuals interested in using innovative solutions to help solve problems faced by communities. To get in touch with someone from co2balance email uganda@co2balance.com or as stated above, simply visit our website http://www.co2balance.com to find out more about the impact being created by the work of co2balance. Kabongo village is located in Kajulu East location, Kadero sub location in Kisumu East in the Western part of Kenya. It’s in this village that we meet Mama Leonidah Ayola. Wife to one Mzee James Ochieng. The couple in their old age, both of them in their 90’s explain their gratitude to Carbon Zero Kenya for the energy efficient stove that has changed their lives and how much they have benefited from the stove. Mama Leonidah is happy with the stove because now she can save time to be in her farm and also relax with her grandchildren. Great news for CO2balance as last week the Gold Standard Foundation announced the issuance of 40,530 carbon credits for Kisumu Cook stove project and 24,441 for Aberdares Cook stoves project, in total 64,971 Gold Standard carbon credits! The two projects have reduced greenhouse gas (GHG) emissions and indoor air pollution in Kenya by the distribution of domestic wood-burning improved cook stoves in households. It worth mentioning, that the majority of Kenya’s population (68%) is dependent on biomass as their primary source of energy for cooking. Aberdares is a rural district in central Kenya near the capital, Nairobi. As a result of this project, 7,946 households are using the efficient cook stoves, and emissions have reduced by 24,441 tCO2e in the last year. Kisumu with a population of 968, 909, Kisumu is located in the Nyanza Province in West Kenya. Due to the project, emissions have reduced by 40,530 tCO2e in the last 13 months. The projects have also reduced time spent collecting wood by local people for cooking and reduce pressure on deforestation and local ecosystems. In addition, 5693 people in total report increase their health because of using the cook-stoves. Thanks to everyone involved over the last year in the successful implementation of these two projects. CO2balance will continue to reduce GHG emissions and improve the lives of Kenyan communities. It is well known that anthropogenic Greenhouse Gas emissions are the major reason that Climate Change is happening. Although we know that our activities produce GHG emissions, we do little to reduce them. In fact, GHG emissions are still on the increase. According to the IPCC’s Fifth Assessment Report, Summary for Policy makers 2013 (AR5), since 1990 the global carbon emissions have risen 50%. Especially CO2 emissions from fossil fuel combustion and industrial processes contributed about 78% of the total GHG emission increase from 1970 to 2010. It is also well known that the consequences of climate change will be devastating for the environment and humans (e.g., extreme weather events, rise of sea level, decrease of biodiversity etc.,). Economic growth and business activity is one of the most important drivers of increases in CO2 emissions and therefore climate change. Immediate action is required from companies in order to reduce their GHG emissions and thus the overall GHG emissions in the atmosphere. Recently many CEO’s and Board’s have catalyzed many significant carbon reduction projects, with 93% of multinationals now addressing their own carbon emissions in order to exploit reputational and efficiency gains. CO2balance offers GHG Audits following the Greenhouse Gas (GHG) Protocol Corporate Standard, which is the most widely used international accounting tool to help businesses to understand, quantify, and manage their greenhouse gas emissions. GHG audit can be considered as the first step toward emission reductions in the business environment. Organisations and companies can conduct GHG audits and therefore measure their current carbon footprint. Its a very easy way for companies to firstly quantify and be aware of their energy use and the GHG emissions produced by their overall activities and secondly, design a strategy and examine different options in order to reduce their emissions. Many companies recently have saved significant costs and achieved efficiency targets through measurement and reporting of their GHG Emissions. Figure 1 below shows the hierarchy for managing GHG emissions. 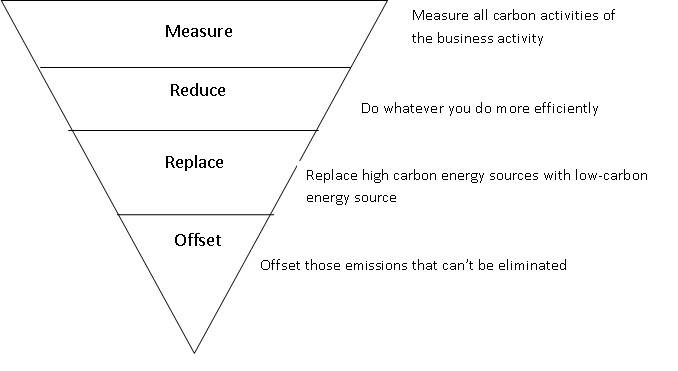 Figure 1: Modified from the “The carbon management hierarchy” (Burtis, 2008). CO2balance have designed the scope of the CarbonZero® Package, to suit the needs of companies across the business spectrum from SMEs, to large multi-national clients. The package includes a holistic approach of measurement, management and offset Greenhouse Gas Emissions by carbon credits issued from the development of projects in developing countries. Additionally to the reduction of your GHG emissions, when you offset your unavoidable emissions with CO2balance you contribute in positive impacts in Africa. This is because the money funds community projects that reduce emissions as well as promote local social, environmental and economic benefits. Improved efficiency cook stoves projects reduce the need for firewood and the volume of harmful smoke families are exposed to. In addition, it reduces deforestation through less demand of firewood and reduces families’ cost of buying wood. The community borehole projects provide clean, safe drinking water for hundreds of families as well as reducing carbon emissions as water no longer has to be boiled to make it safe to drink. Normally women and young people have to walk, often for hours, to find clean water and wood then carry it back on their heads. With so many of their daylight hours focused on gathering water, inevitably their fields are neglected and the harvest affected. Alternatively, they might choose to collect water from rivers or wells, probably dirty and infected with water-borne disease. By having a water point located closer to many of these hardships are avoided and in turn, women and especially girls have more time to pursue other activities, such as income generation and education. Moreover, clean water will reduce incidences of illness which will reduce medical costs but also decrease the number of days people miss from work and school. help support thousands of people across rural African communities, including Kenya, Uganda, Rwanda, Mozambique and Sierra Leone through your carbon offset. Konya Sub-Location is an administrative division in Kisumu County, Kenya. The area is well known for its fertile land and surplus production in agricultural produce. It is in this area that Edith Adhiambo who is a beneficiary of the CZK cook stove lives with her three children in a small farm in a village called Simboi. Edith Adhiambo lost her husband a few years back and has the burden of taking care of her three children of which two are currently in public primary schools. She used to go to the bush to collect firewood on a daily basis while using the three stone fires.”I used to walk for four to six hours searching for firewood since there is a ban in the forest and when a person is found collecting in the forest is arrested .In addition to collecting, I used to buy firewood especially in rainy seasons and spent a lot of money since the price escalate and there is scarcity’’ she narrates that the three stone fire was always fond of causing accidents in her house.” one day as I was out looking for firewood, my last born who is two years old got severe burns as he was trying to get food from the cooking pot.” it was so sad because I had to spend the little money that I had to take him to hospital. Also the amount of fire going to waste with the three stone is unbelievable since it is not easy to regulate fire and the amount of smoke being emitted”. She further narrates that ‘’the most annoying thing about the three stone cook stove is the fact that it does not reserve heat. I have to reheat food during lunch break when my children come back for their meal and it is a waste of time since I have to leave other chores to take care of them before they go back to school for their evening classes. The smoke emitted is too much that the cooking pots were all covered in soot which was an embarrassment even to my own children who could not help me wash dishes”. However all this changed once I received the czk stove, I have managed to save time through proper wood management, including early collection, drying and storage .In addition to that I no longer reheat food and the food itself is very delicious .Once the czk stove is used it saves a lot of heat and money, only two pieces of wood fuel per meal, this has enabled me to join a women group which through my savings helped me purchase a dairy cow. The milk I get from the cow has helped me educate, feed my family, cater for medical expenses and dress my children. With smoke eliminated there is less soot on the cooking pot which makes it presentable and easy to wash by using less soap hence saving finances. I have adequate time to take care of my dairy cow which is my source of livelihood something I could not do previously before getting the CZK stove.